Just a quick note to let y’all know that today is National Tax Advice Day. As I noted last year, National Tax Advice Day is timed to coincided with the official beginning of tax season (you can e-file with the IRS as early as Friday the 12th). 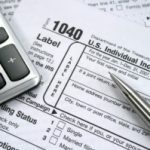 OrganizIT: A brand new tax organizer designed to help taxpayers plan for a discussion with their tax professional or to prepare their own taxes. Whether the client is a do-it-yourself tax preparer or someone who likes to go to a tax office, OrganizeIT provides valuable, time-saving tools through a dynamic online interface that ensure clients have the right information to speed up the tax prep process and get the most from their refund. DeductionPro: Designed to help taxpayers maximize and track their charitable donations, it’s fast, intuitive and includes advice for common deduction questions. DeductionPro helps categorize deductions, assess values and ensure that nothing gets missed. The tool includes deduction itemization that helps clients ensure they get fair market values of hundreds of common non-cash donations, printable worksheets, detailed reports and a great deal of deduction assistance. Additionally, DeductionPro can be used year-round to help keep track of cash donations, non-cash donations mileage and medical expenses throughout the year. New Tax Estimator: The tax estimator enables clients to use basic information â€“ even before they get a W-2, to estimate their refund or find out what theyâ€™ll owe. Getting a head start on this process can help people plan ahead and ensure there are no surprises at tax time. Tax Calculators: Other calculators include an up-to-date Alternative Minimum Tax estimator, tools to calculate saverâ€™s credit, education and daycare deductions, and a specialized calculator for small business owners. They also have a nice set of FAQs in their Questions and Answers database. So if you’re looking for tax tips, you might want to check it out. And remember… As I write this, you have just 94 days to file your taxes.